Mana Pools National Park in Zimbabwe lies on the banks of the Zambezi River. Covered in Ana Trees or “Winter Thorns”, as the majestic trees are called here, Mana is the perfect playground for plenty of elephants, as they love to feed on the delicious seedpods that grow high up in the trees and fall to the ground when they are ripe. Three of the resident elephants have developed such a great taste for these pods that they have learnt an incredible behaviour: They have trained themselves to stand on their hind legs to reach high enough to feed on the pods and the fresh leaves of the trees! 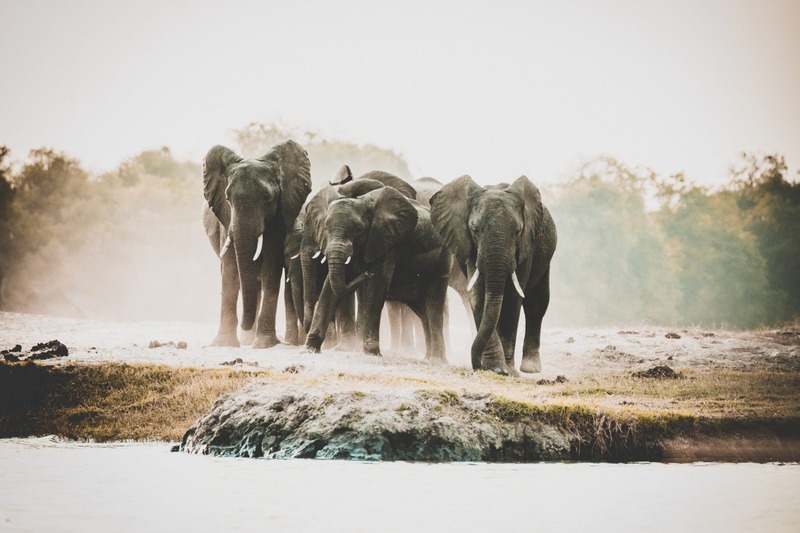 Not only are these three elephants famous with people who follow them around for breath-taking photographs – but also with other elephants and even herds of buffalo that follow them around to benefit from the left-overs. 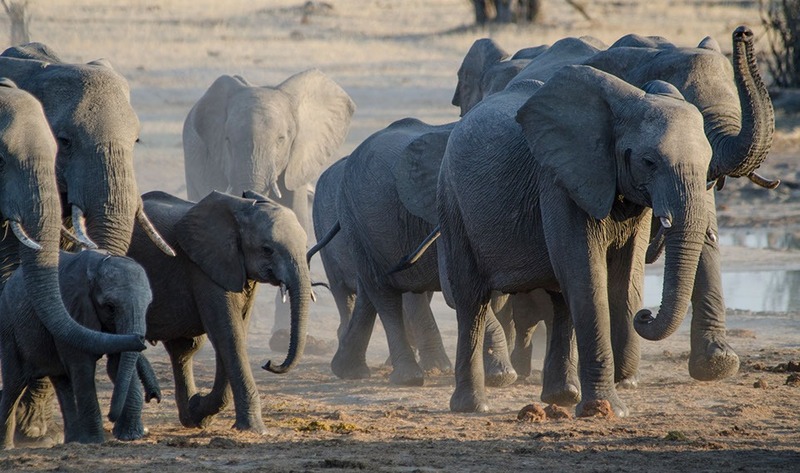 Botswana is home to about 200.000 elephants – this is half of the whole population of elephants in Africa! 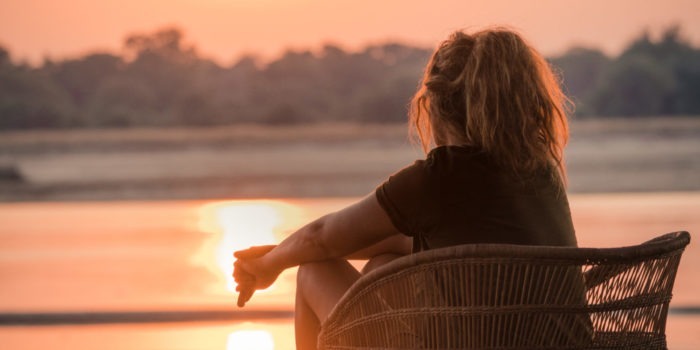 The best way to view them is from the Chobe River itself – hop onto a boat and let them come as close as never before – for some reason they feel a lot less threatened by humans if they come from the water. 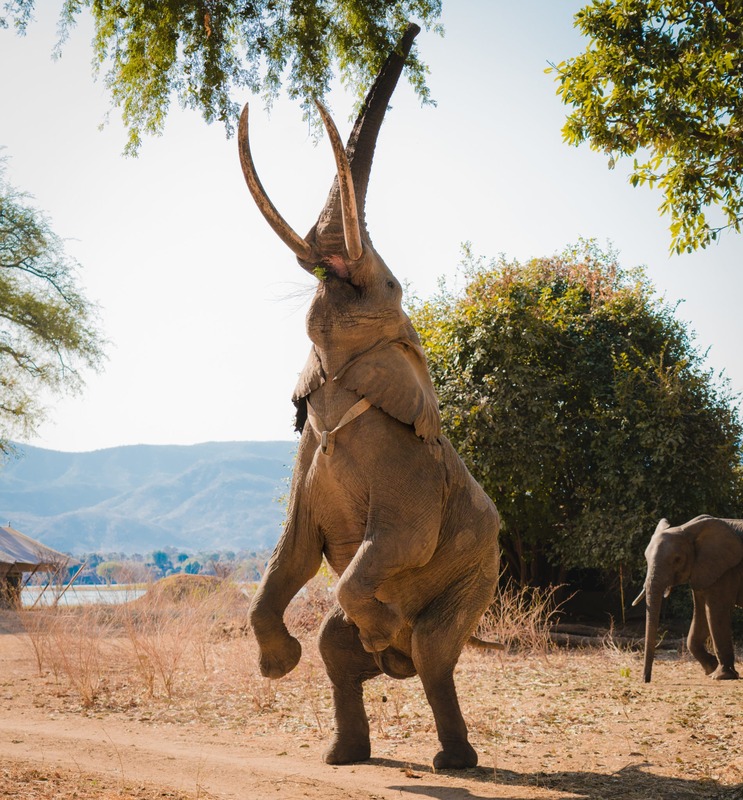 If you hit Chongwe River Camp just outside Lower Zambezi National Park in Zambia at the right time of year (September-October), be prepared for an elephant party! Just like Mana Pools, Chongwe River Camp is situated under Ana Trees and when they are fruiting ,the elephants come for the seedpods! In peak season, there will be elephants all around your tents – so much so that your guide has to pick you up by vehicle from your doorstep! 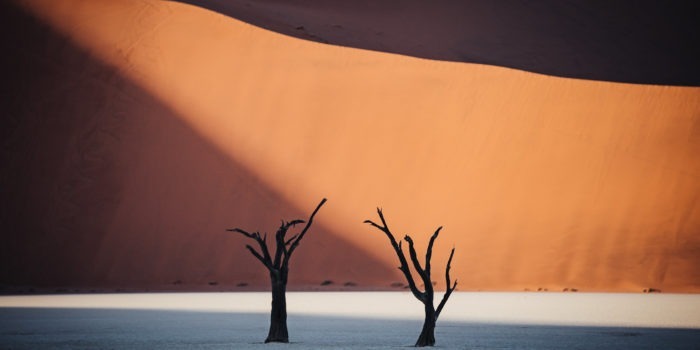 Elephant Sands Campsite is our favourite stopover in Botswana. 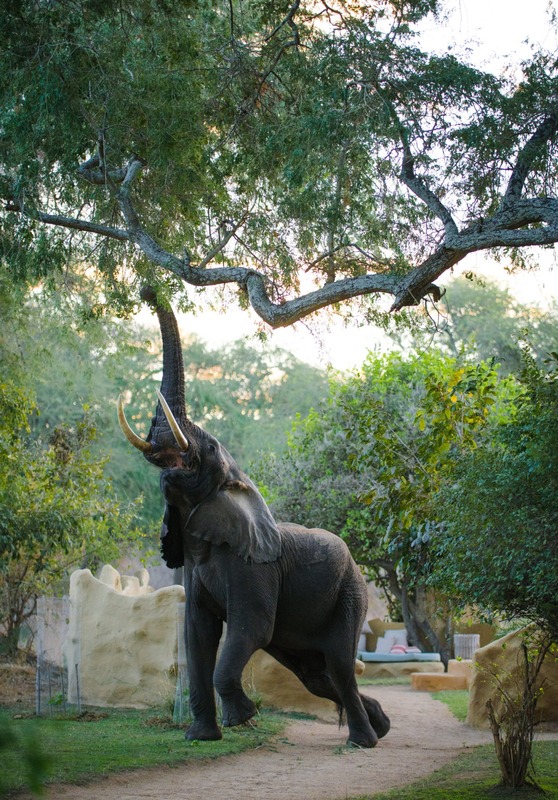 In the middle of the camp, right in front of the restaurant, is an artificial waterhole that elephant frequent every day. They are super-relaxed with humans here and don’t mind at all if you join them for their sundowner drink! If you ever dream of having a “breakfast with elephants” (literally! ), Hwange National Park is the place for you. Hwange is Zimbabwe’s largest National Park. 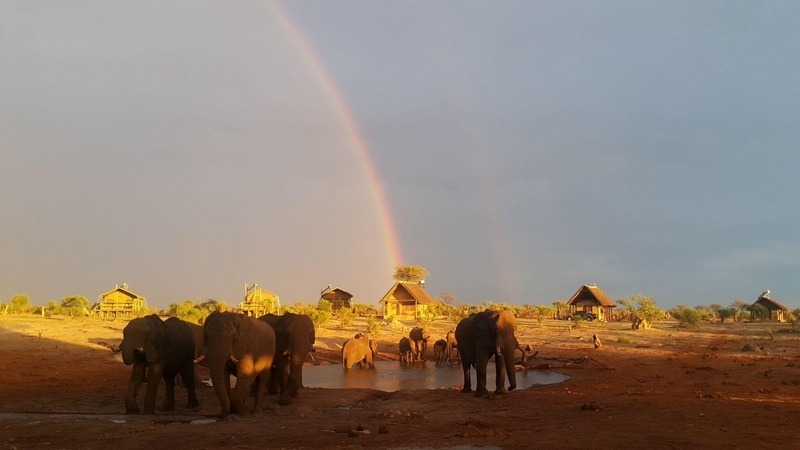 During the dry season, it is not uncommon to see about one thousand elephants in a 24 hour period come to drink and wallow at one of the pans in the area.